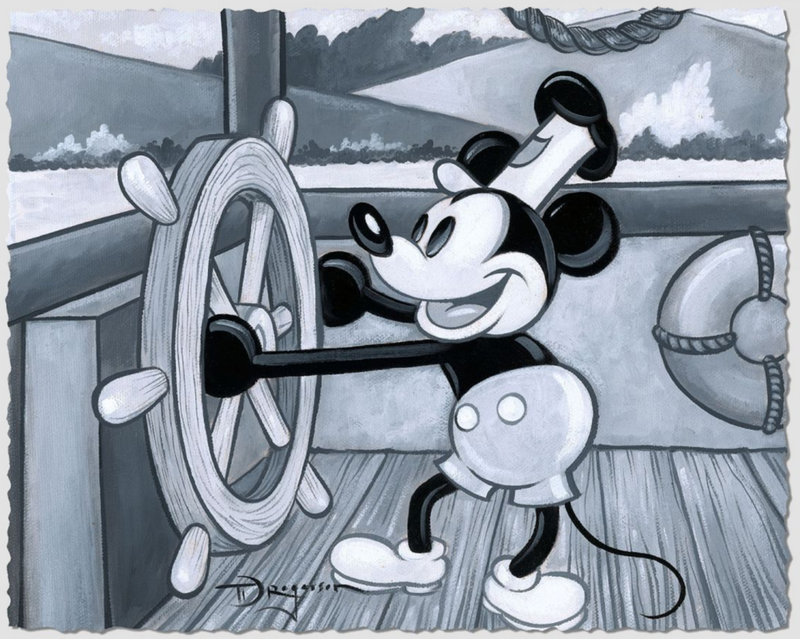 Willie at the Helm Mickey Mouse Steamboat Willie Giclee on Paper by Tim Rogerson is a classic depiction of Mickey behind his boat wheel. 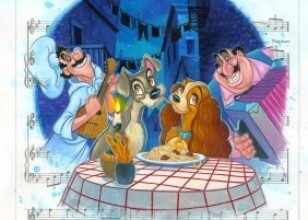 The iconic black and white scene is lovingly rendered by Disney Fine Artist Tim Rogerson. As a rising star in the art world, Tim Rogerson casts his artwork with a very evident energy and passion. Inspired by the works of Edgar Degas and Malcolm Liepke, the North Carolinanative has embarked on an artistic journey that has taken him from Degas to Disney to darling of the industry. Born in Kissimmee, FL, Mr. Rogerson was forced to move with his family to North Carolina at the age of four because of family health concerns. 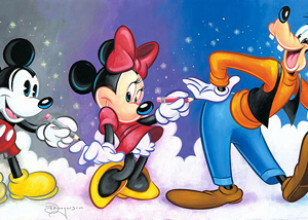 His father, who at the time, was employed by Walt Disney World as Show Director in charge of managing and maintaining all of the performances in the park, made every day a magical adventure for the future artist, even though they no longer had the safety umbrella of Disney. Mr. Rogerson grew up living the everyday life of a kid, playing outside and "hanging out" with friends, however, the artistic urge to create was always present, compelling him to apply the pictures and images in his head to paper and canvas. Every child has a dream. For Mr. Rogerson, it was to be an artist as well as satisfying his desire to return to his home-state; back to the magical kingdom from which he came. 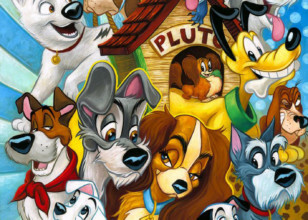 Of course being surrounded by the whimsical images of Disney characters, even after his family moved to North Carolina; his father was an avid Disney collector and supporter, didn't help curb his appetite for the Sunshine State. However, it was these images that helped form some of Mr. Rogerson?s style, which has begun to earn him critical acclaim. Fulfilling his dream of returning to Florida, Mr. Rogerson was accepted as a student at the prestigious Ringling School of Art and Design in Sarasota, majoring in Illustration. "I was a very traditional art student and explored all works; from the old masters to modern art," says the artist. "My influences include Degas and John Singer Sargent; with his perfect, confident brushstrokes?their work has allowed me to push the envelope with my own abstraction of life." Using the medium of oil paints, Mr. Rogerson focuses on capturing people in social settings, My work will always evolve, becoming more complex and detailed, says Mr. Rogerson. Tim's latest success has come in the form of an official title. 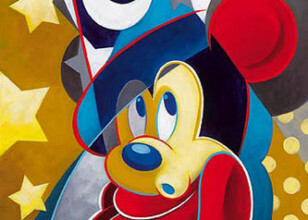 Named an Official Artist of the 2006 U.S. Olympic Winter Team, Mr. Rogerson has taken the POP world by surprise again with his colorful and impacting style. Tim Rogerson has obtained this designation by working with An Official Licensee of the U.S. Olympic Committee, Fine Art Ltd. Throughout history, the Olympic Games have been a forum for nations to peacefully compete for the prestige and honor of gold medals. U.S. Olympic Winter Team 2006" is an ode to the American men and women who are competing peacefully in the 2006 Olympic Winter Games during such a volatile time in our history. From the graceful glide of the ice skater to the speed of the bobsled and determination of the downhill skier, Rogerson's piece represents the passion with which the U.S. Olympic Team hopes to bring the gold home to the Red, White and Blue. As my personal style is emerging and I break down the composition into simple shapes, with each shape having its own palette it's a jigsaw puzzle of color to form an image, says Mr. Rogerson.